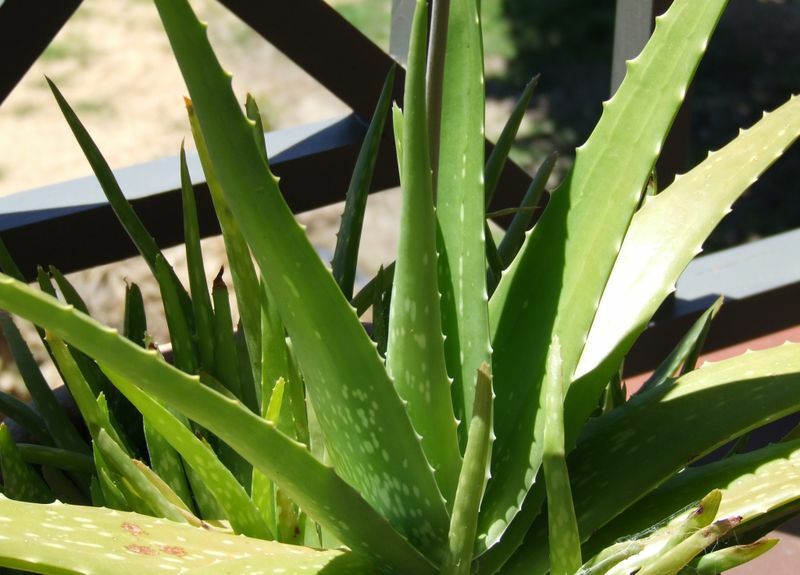 From Andrew- Is Aloe Vera really good for your skin? Well Andrew, that’s a very good question, but the answer depends on who you ask. There are any number of naturopathic healers who swear by its use to treat any number of conditions ranging from sunburns, psoriasis, osteoarthritis, high cholesterol, to a cure for stretch marks. It can be found in literally hundreds of skin products that are widely available, usually in the form of lotions and sunblocks. The ancient Egyptians were using Aloe Vera as early as 4,000 BC where it was known as the “plant of immortality”. Medical doctors seem to have a different opinion on the matter. If you were to ask them about uses for Aloe, the response would most likely be, “there isn’t enough scientific evidence to show it’s a reasonable treatment for anything”. Given the large number of products available and anecdotal evidence seemingly supporting its use, I’m one medical professional that finds it hard to argue Aloe doesn’t work at all, but let’s look at the evidence. There are two substances the Aloe Vera plant produces that are used as medicines- gel and latex. The gel is the clear, jelly-like stuff found in the center of the plant’s leaves. Surrounding the gel, just under the plant’s skin, is a yellow material known as latex. There are some medicines that are made from the entire crushed leaf that contain both gel and latex, but generally latex is taken orally and the gel is generally used topically. Although some claim taking gel orally has benefits. The Aloe gel itself contains glycoproteins and polysaccahrides. Glycoproteins are known to help in healing by reducing inflammation and stopping pain. Polysaccahrides help with skin growth and repair. It’s also believed that these two substances help stimulate the immune system. It doesn’t seem too farfetched then to assume a wide range of uses for different diseases and conditions. Many people continue to make bold claims as a result of these elements contained in the plant. The scientific studies, however, have shown a wide range of contradictory results, prompting most governing medical bodies to classify Aloe’s use as “needing more evidence” before they will endorse it. The National Center for Complementary and Alternative Medicine (NCCAM) lists only two recognized benefits of Aloe. The first is as a laxative. That being said, the FDA used to allow the use of oral Aloe latex as a laxative, but suspended it in 2002 because animal studies showed high doses can cause cancer. This is a real concern because it takes increasing doses over time to achieve the desired affects. The second benefit is as a topical gel to help heal burns and abrasions. They are quick to point out, however, that some studies show the gel might actually inhibit the healing of deep surgical wounds. As such, the only FDA approved use of Aloe is as a natural food flavoring. The Natural Medicines Comprehensive Database (which is used as a reference by the NCCAM) lists the effectiveness of Aloe in two ways: “possibly effective for” and “insufficient evidence to rate effectiveness for”. They say the only proven uses are for treating Psoriasis and constipation- stating, “Applying a cream containing 0.5% Aloe for four weeks seems to reduce the skin ‘plaques’ associated with psoriasis.” If taking it for constipation, they also remark on the need to increase the dose over time. This has a very real drawback besides the aforementioned cancer problem. Latex will cause a loss of potassium in the cells that line the intestine., the result being paralysis of the intestinal walls making bowel movements more difficult- something that seems counterproductive when you’re constipated. The NCCAM lists several conditions which there is insufficient evidence to rate Aloe’s use. They are treatments for burns, frostbite, cold sores, high cholesterol, lowering blood sugars in diabetics, bed sores, ulcerative cholitis, and skin damage caused by radiation treatment for cancer. While there is some evidence that Aloe could help in these situations, most of these conditions have studies with conflicting results in terms of Aloe’s effectiveness, or “no further studies could reproduce the desired results”. That being said, you can find studies where Aloe’s effectiveness is shown in some of these cases. So if you are thinking of taking Aloe for a specific problem, you will have to examine the evidence for yourself to determine if it might help. I’m assuming you are considering using Aloe as a treatment for an ailment, or you wouldn’t have asked the question. Know there are some very serious complications if you use it inappropriately. So be careful! If you’re using a topical Aloe Vera for the treatment of a minor burn, or Psoriasis, then you’re good. If you’re using it for anything else, there might be problems. As I said at the beginning, it really depends on the study you read and who you ask! There are currently over 400 known species of the Aloe plant. They are a flowering succulent plant, meaning they have leaves that are thick and store water. In fact, the Aloe plant is approximately 99% water. Aloe’s large leaves and easy to maintain demeanor make them very desirable as decorative house plants. The species most people refer to, when talking about Aloe’s medicinal properties, is the Aloe Barbadensis Miller plant, a.k.a. Aloe Vera. These are not usually the species a person would have in their home; so no rubbing your bed sores on grandma’s houseplants! hello i am looking for something to use on my face …long story but to make it short i used proc on my face to clear up my ances and it messed up my face ..its so itchy and it left me with brown spots on my face ..does anyone know if aleo vera can help my face..
What on earth is proc? Is it a commercial product? You need to be VERY CAREFUL what you put on your face. Soap and water is best. Rinse thoroughly, then apply a nice, inexpensive moisture cream. A tiny dab of aloe vera on a zit will help in healing, but best to not put it all over your face. Wow that is the worst piece of advice I have ever heard. Soap is bad for the skin and thats a fact. Soap is mainly alkaline while the face is normally around ph 5.5 which is acidic. The best way to cleanse your face and heal it is with a gentle non foaming cleanser which is ph 5.5 and then followed by a dollop of natural aloe gel straight from the plant. Here in California, many people keep Aloe Vera potted plants at home, for treating burns and sunburns. We keep them in pots because during frosts or freezing weather the plants need to be brought indoors or otherwise protected from the cold, in order to keep them alive. If you live in an area that never has freezing weather, then the plants can be planted right in the ground. It’s lie. Aloe Vera is very good plant. I have use it, and I know that most people using Aloe Vera and cure skin problems and other diseases.